Laboratory Equipment Resource Center - A place to read, watch and learn. 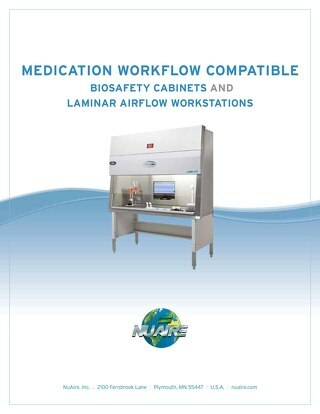 NuAire AireGard model NU-140 is a bench top style vertical airflow clean workstation where clean airflow per ISO 14644-1 is required for the preparation of injectable drugs, IV solutions, tissue culture, and more. 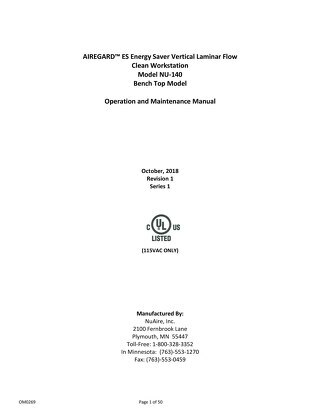 Operation and Maintenance manual for AireGard model NU-140E bench top style vertical laminar airflow workstation (LAFW) Series 1. 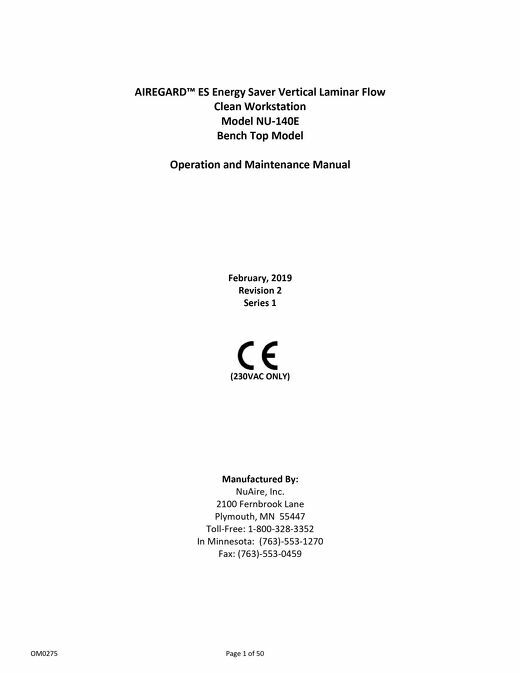 Operation and maintenance manual for AireGard NU-140 Vertical Laminar Airflow Workstation. 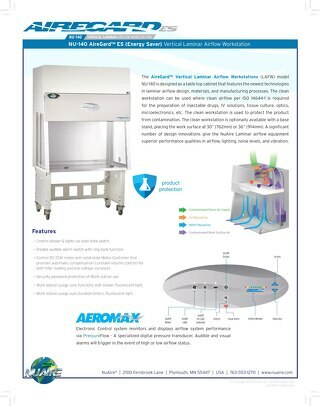 Product flyer for AireGard model NU-140 Vertical Laminar Airflow Workstation (LAFW). 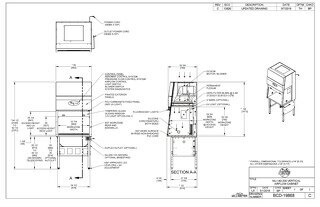 Medication Workflow compatible primary engineering controls and containment primary engineering controls from NuAire maximize your pharmacy's production and safety. 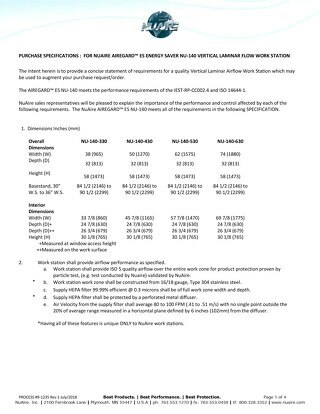 Purchase specifications for bench top style vertical laminar airflow workstation (LAFW) model NU-140. Drawing of NuAire Lab Equipment nominal 3-foot (0.9-meter) width Vertical Laminar Airflow (LAFW) Model NU-140-330. 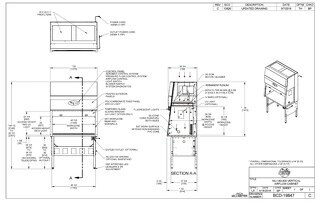 Product drawing of AireGard nominal 4-foot (1.2-meter) width Vertical Laminar Airflow Workstation (LAFW). 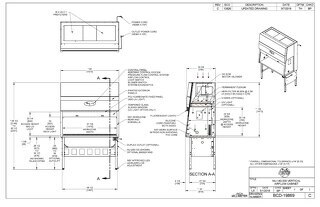 Drawing of NuAire Lab Equipment Vertical Laminar Airflow Workstation (LAFW) model NU-140-530. 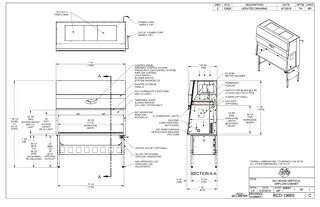 Product drawing of AireGard nominal width 6-foot (1.8-meter) wide bench top style vertical laminar airflow workstation (LAFW) NU-140-630 with optional base stand.